Samford University's popular Jazz Band will present their fall concert at 7:30 p.m., Tuesday, Nov. 4 in the Brock Recital Hall. 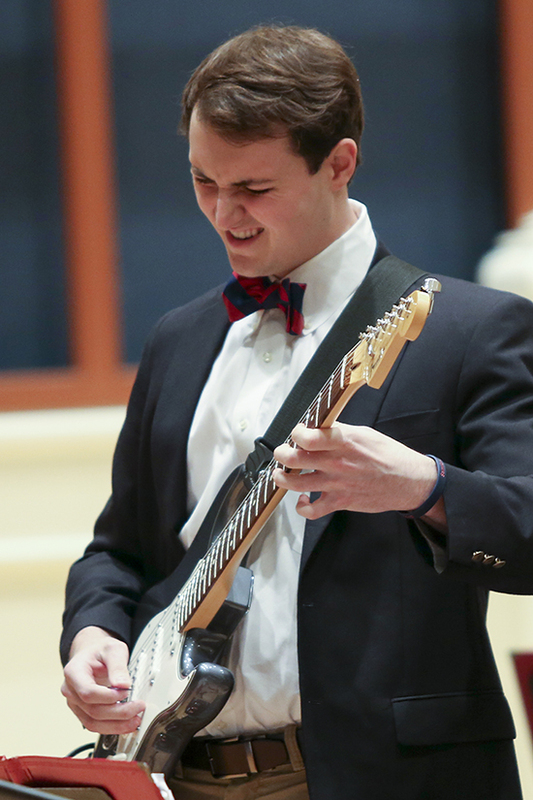 "We'll be playing some modern pieces," said senior guitar player Michael Naro. "I'll be playing some Pat Metheny, who is a legendary jazz guitarist." According to director Grant Dalton, the Jazz Band concert will cover a wide variety of music in addition to modern jazz. "The concert will be pretty eclectic," he said. "The band will perform everything from swing band to Latin. "That is one of the beautiful things about working with a jazz band like one at Samford: anything goes. We certainly do not shy away from tackling pieces that are not considered to be traditional jazz." The 19-member group recently returned from a three-day mini-tour.